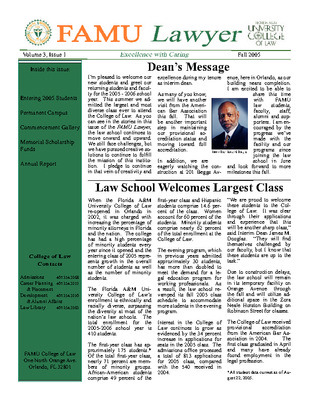 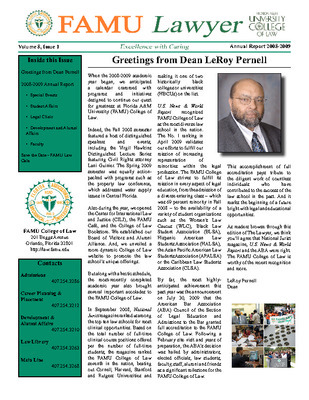 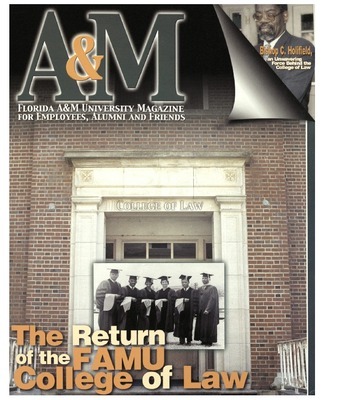 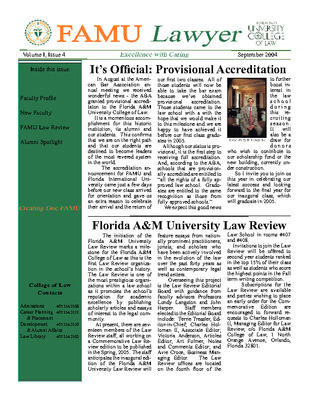 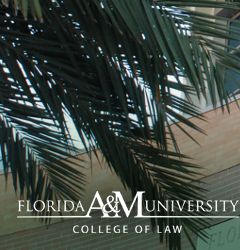 This issue celebrates the return of the FAMU College of Law. 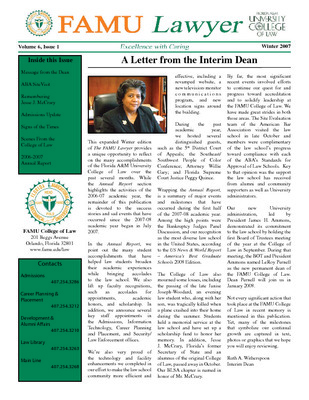 This posting includes former FAMU President Frederick S. Humphries' "President's Message" entitled Celebrating the Return of the College of Law and the Cover Story from the issue, The Rebirth of the FAMU College of Law 1949-1968 2000-Present. 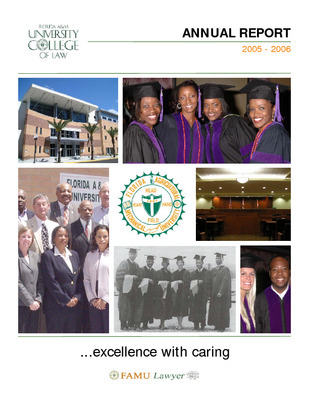 It contains a compilation of excerpts from Chapter Five in the The Florida Agricultural and Meghanical University College of Law (1949-2000) written by Larry O. Rivers.